Your child wants to purchase a first home, but doesn't have an income high enough to qualify for a mortgage loan. You can help by putting your name on the mortgage loan and deed of the home, even if you have no plans to live in the residence. You do this by cosigning your child's mortgage loan as a non-occupant. Most mortgage lenders require that a borrower's total monthly debt, including their minimum required monthly credit-card payments, car payments and estimated new mortgage payments, equals no more than 36 percent of the gross monthly income, which is income before taxes are taken out. If your son or daughter has a debt-to-income ratio much higher than that, they'll struggle to qualify for a mortgage loan. You can help by cosigning as a non-occupant with their mortgage lender. This way, lenders add your gross monthly income -- and monthly debts -- to the debt-to-income equation. With your income added to your child's, you and your son and daughter might be able to qualify together for a mortgage loan. You'll have to find a mortgage lender licensed in your state that permits non-occupant borrowers. Most will. Once you do, you and your child will have to fill out the lender's Uniform Residential Loan Application. This form will ask for a variety of information from you and your son or daughter: your gross monthly income, debts, employment status and job history. 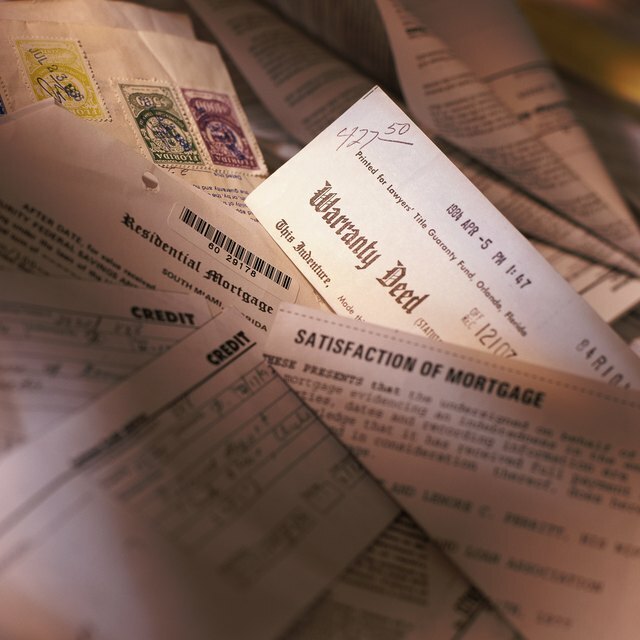 During the mortgage process you and your child will also have to provide the lender with copies of financial documents like your last two months worth of bank statements, last two years of federal income tax returns and your last two paycheck stubs. Your lender will use these documents to verify your combined income. When you cosign for your child's mortgage loan, you'll also have to sign the deed that goes with this loan. This document gives the mortgage lender a lien against the home, making it easy for the lender to foreclose on the home in case you and your child stop making monthly mortgage payments. If your child can no longer afford his or her share of the monthly mortgage, you will be responsible for covering the entire share of the payment. If you can't do this, and the house is foreclosed, that foreclosure will remain on your record for seven years. The foreclosure will also cause your three-digit credit score to plummet. When you apply for a mortgage loan, your lender will run both your credit and your child's. However, your high score won't be of any help if your child has a low credit score. When two or more people apply for a mortgage loan jointly, lenders only consider the score of the borrower with the lowest credit score. If your score is 740 and your child's is only 650, your lender will only use your child's. This is important; lenders give higher interest rates to borrowers with lower scores. Your child's low score could mean that the loan's interest rate and monthly payment are higher, meaning that you'll have to pay more each month not because of your credit problems, but because of your child's.